Pisac is possibly one of the most popular towns in the valley, and there’s a sizable expat community there. 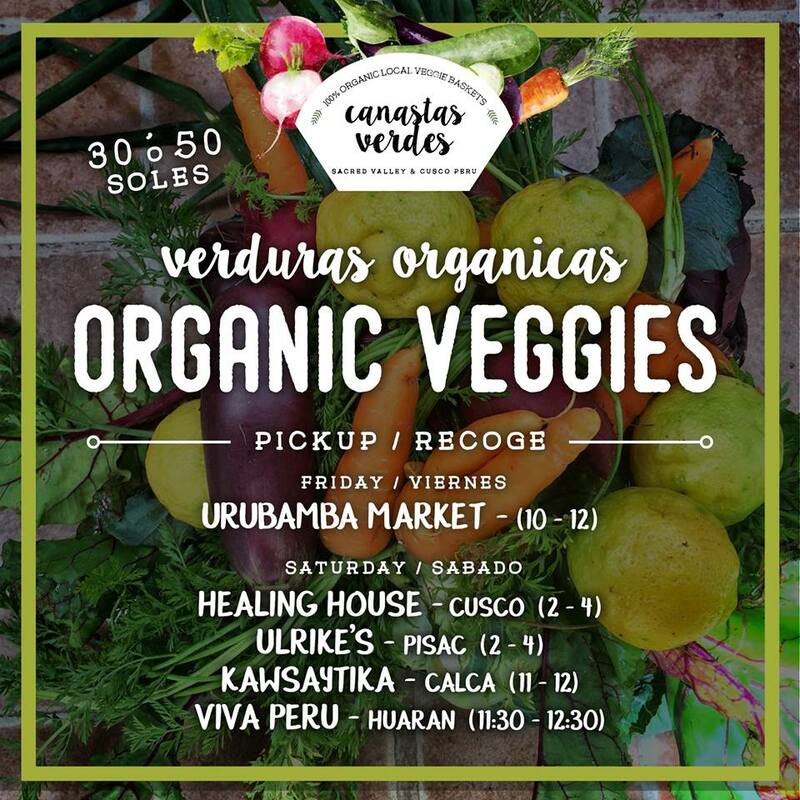 The vibe is generally a bit ‘hippy’ ish, and there are, correspondingly, plenty of vegan restaurants, health food shops, ayahuasca ceremonies, yoga classes and other such services. At 2970m, the elevation is somewhat higher than other towns in the valley, and its population of 12,000 is a bit larger than other towns, too. But there is more to do there. For example, most people visit Pisac to see the market on Sunday, but there are smaller markets on both Tuesday and Thursday. During the week in the main square, there’s a plethora of small handicraft shops selling items such as blankets, rugs, hats, sweaters, jewellery and more. 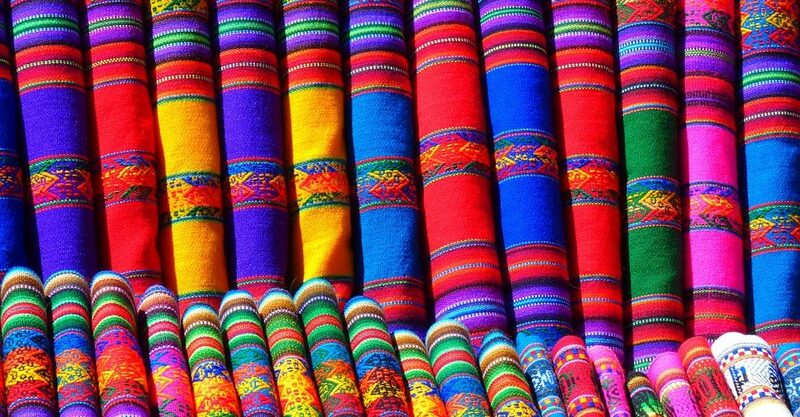 Increasingly, cheap Chinese goods are flooding the markets, imitating the style of Andean weaving. Buyers should beware of this; true Andean weavings cost more, but they use noble fibres like baby alpaca, wool and Pima cotton, dyed naturally with seeds, flowers and roots. Such items will last a lifetime, whilst the Chinese goods tend to use brightly, artificially coloured acrylic, and will fall apart easily. In any case, the market draws busloads of tourists, yet still retains much of its local charm. Villagers from miles around gather to barter and sell their goods and produce, and spectacularly dressed children from the communities often wander around with adorable baby lambs or alpacas, asking for a few soles in exchange for photos. There are plenty of cafes and restaurants that host locals and tourists alike. Some of the best are below. Calle Pardo 613, Pisac. 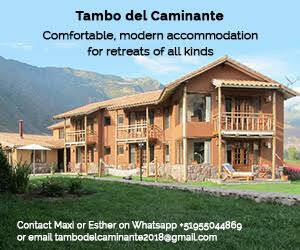 (just off the corner of the Plaza de Armas, past Pisac Inn). This popular cafe has a good selection of food ranging from pastas, burgers, salads and international food. Vegan and gluten-free dishes are also on offer, but the cafe is best known for its delicious homemade desserts, especially its carrot cake. The friendly and informative staff speak English, Spanish and German. Plaza de Armas (main square), 2nd floor. This cafe offers a unique blend of Asian food with a Peruvian twist. Its balcony boasts views of the Plaza and crafts market. There’s a bit of a hippie vibe with chillout and lounge music. Calle Grau, 534. Simple, organic vegan food with great, healthy shakes and smoothies. Prices are reasonable but seating is limited to a few tables – some are on the floor with cushions. Esquina Calle Grau y Calle Pisac. Beautifully decorated with a gorgeous garden view, this restaurant specialises in ceviche, vegetarian food, pizzas and a good selection of wine. 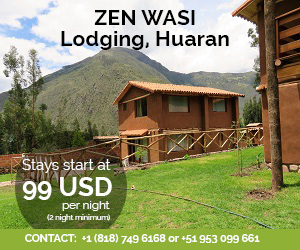 If you’d like to know about a selection of hotels you can stay in if you’d like to try living in Pisac, click here.